Police have recently found that, in their eagerness to spread police successes on social media, members of the community can inadvertently compromise crime scenes and the investigation of the crime itself. When suspects are arrested, it is important to remember that identity parades will form part of the investigation process. Therefore, photographs depicting the faces of suspects should not be distributed at all, since it can have a negative impact on the investigation and any identity parades to be held in connection with the case. By preserving a crime scene, the evidence collected will be of a better quality, thereby ensuring a higher conviction rate. 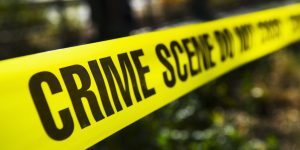 A crime scene not only includes the place where the crime was committed , but also the area surrounding the immediate crime scene and can cover a very large area. In the investigation of a crime, police gather information and physical evidence which can be used to help solve the case. If you preserve the crime scene, then police will be able to gather uncontaminated evidence. The more the crime scene is damaged, the less evidence can be collected and used. Do not distribute facial images of the suspects. Every person at, or in the vicinity of a crime scene, is a potential witness. Tell police everything you know, no matter how small or insignificant you think your input will be. Entrust the crime scene to police because, in doing so, you have taken the first step in enabling police to identify the criminals, arrest them and bring about their conviction. « SOUTH AFRICAN POLICE SERVICE ACT (68/1995 – SECTION 69).